Taking a break beside the McCaul Street turnaround, just north of Queen Street. 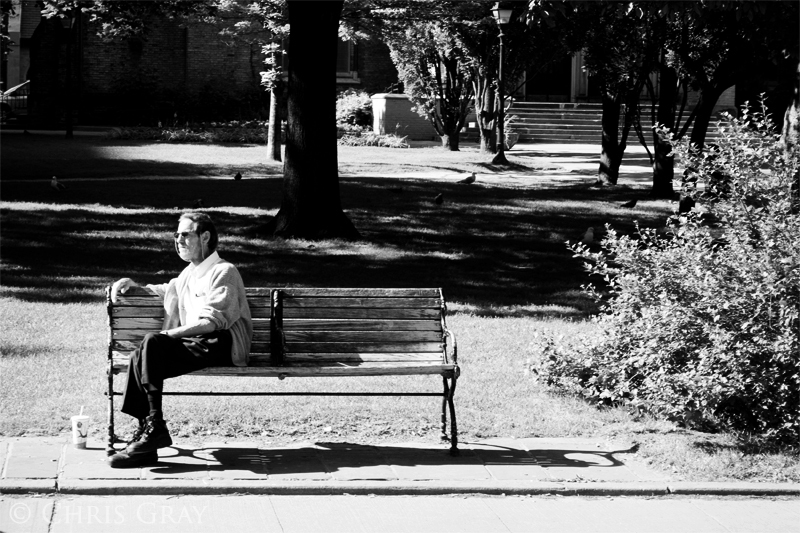 A nice sunny day in Toronto, on Queen Street East - in black and white. Looks like he's been there for a while. 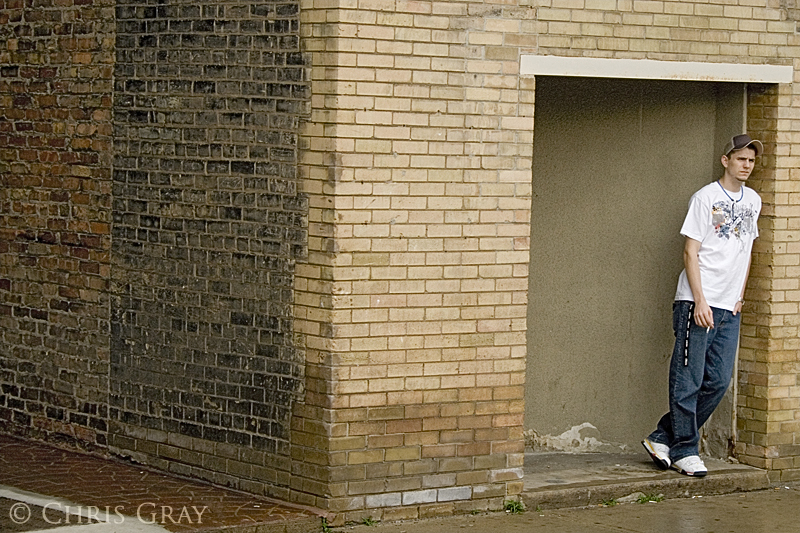 I wonder if he's waiting for someone, or just hanging out. 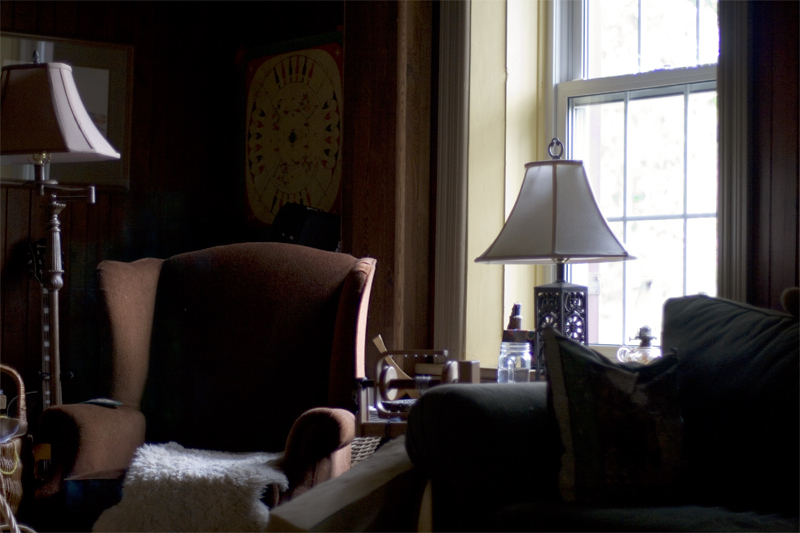 Another shot from the last morning at the bed and breakfast. 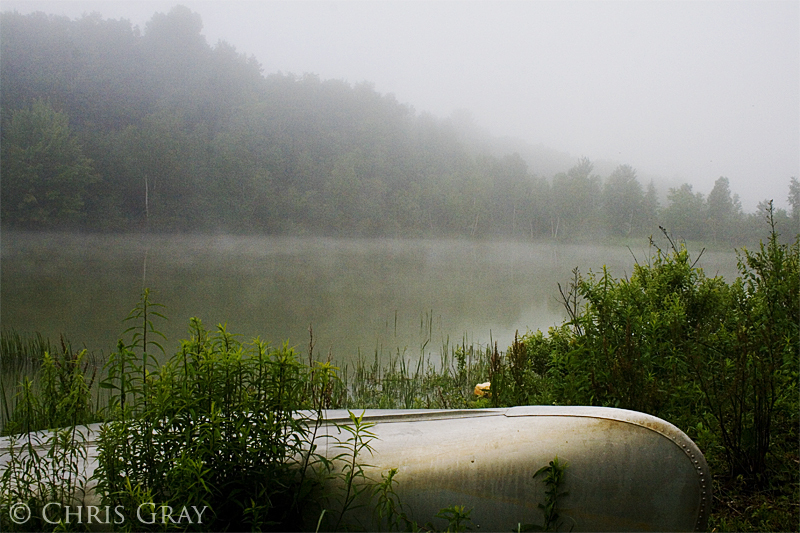 We woke up early on the morning we were checking out of the bed and breakfast in Huntsville, and found the mist. So we had to go down to the horse pond and get some shots. I love seeing the mist rising off the water. 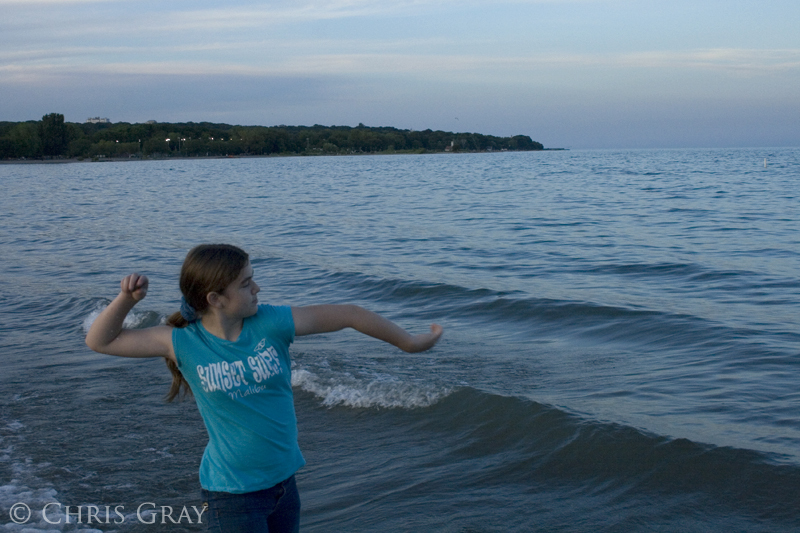 All I could think of, while she was throwing rocks into the lake, was "Those poor rocks - they just spent years getting up on the beach, out of the water, and she's throwing them right back in." Taken at sunset on Ashbridges Bay. 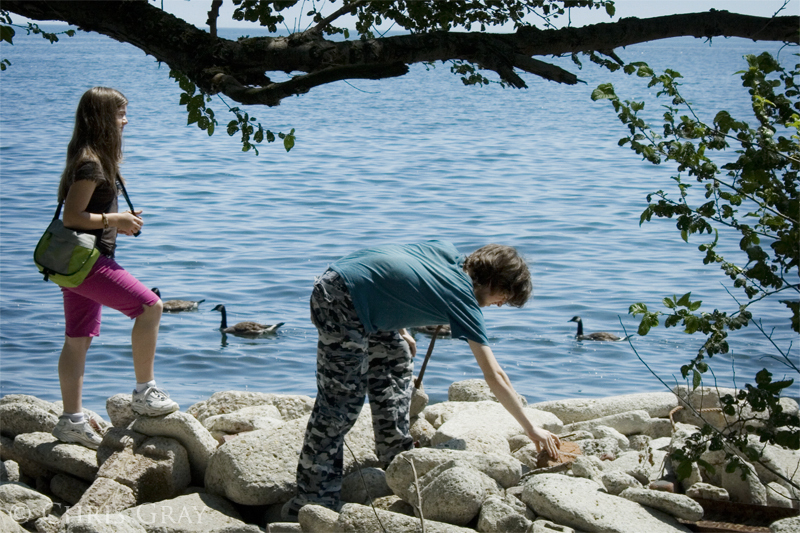 Our recent trip to the Leslie Street Spit had the kids exploring the rocky shore. The geese didn't seem to mind them. The kids loved seeing all the eroded material on the shoreline. Found outside of a restaurant on Queen Street, on my way in to work. Yum! Breakfast of champions! 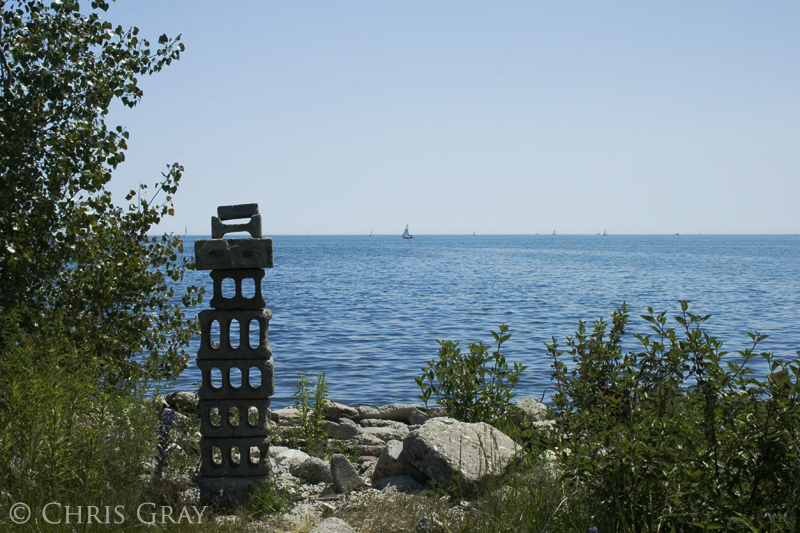 More from the Leslie Street Spit - this time, someone seems to have made an attempt at an inukshuk out of cinder blocks. That seems appropriate, since the spit is mostly made of building waste from the 50's when the TTC dug the Yonge Street subway line. 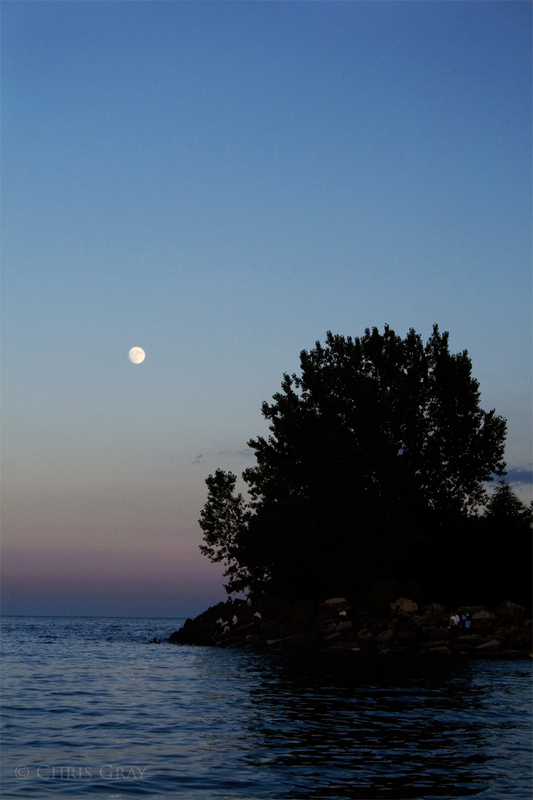 We took the kids to Ashbridges Bay the other night, and we got some great shots of the beach as the sun went down. 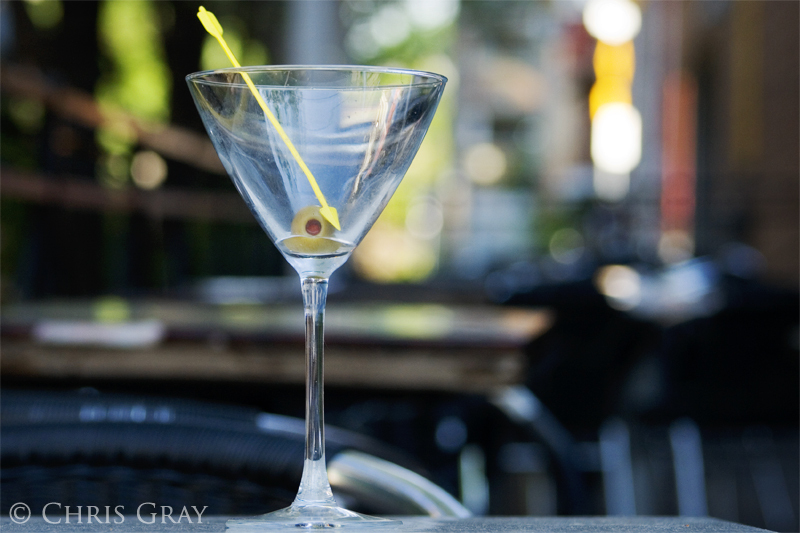 I'm really looking forward to going back there when we have a little more time to shoot. 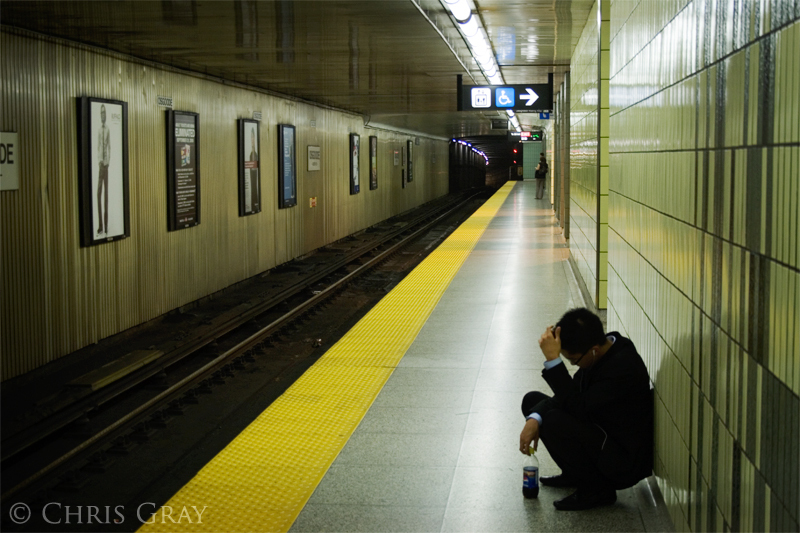 Waiting for the train at Osgoode Station. 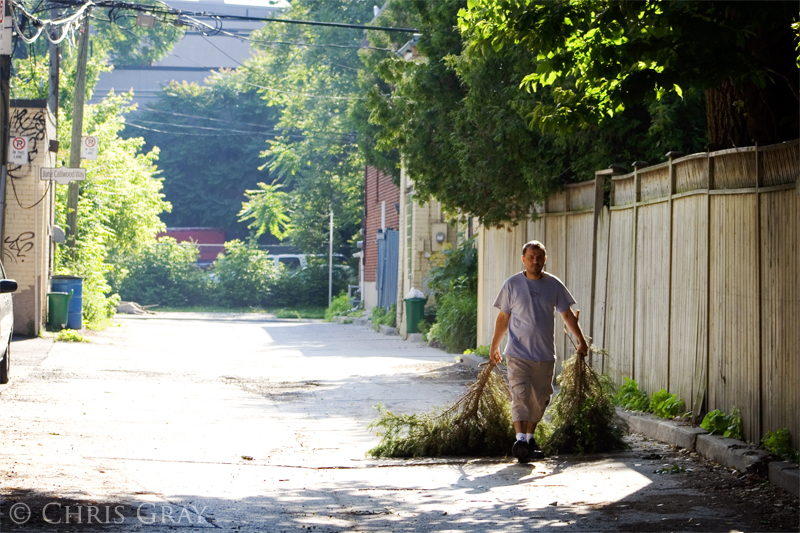 I know - he's actually just removing some debris left over after he cut his trees - but doesn't it look like he's trying to cover his footprints? This is the sitting room in the bed and breakfast that we stayed in out in Huntsville. I loved the way the light came in to the room the day before we left, so I took a few shots. When we took our photowalk on the Leslie Street Spit the other day, I was constantly seeing other photographers on our walk. This couple were obviously enjoying themselves, and I so wanted the lens on his camera. Looks like a 200mm lens at least - drool! 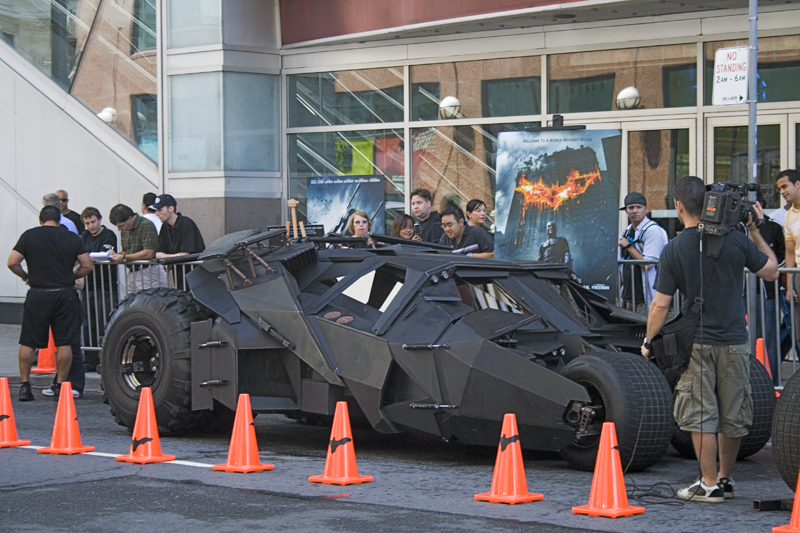 The new Batman movie opens next week, and the Tumbler ( the Batmobile ) and the new Bat Bike were down on Richmond, in front of the Scotiabank theater on Friday afternoon. I managed to get a few shots that I liked. I especially liked the bats on the orange cones. Nice touch, guys. 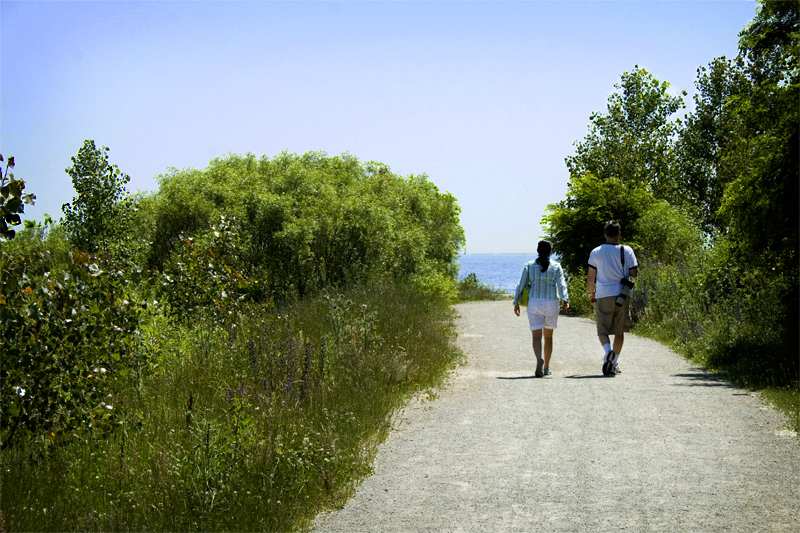 Another shot from the photowalk on the Leslie Street Spit. This cyclist seemed to be tinking, sitting on an improvised bench at the water's edge. Now, why do I think that their neighbours are very glad that they practice on the Leslie Street Spit? 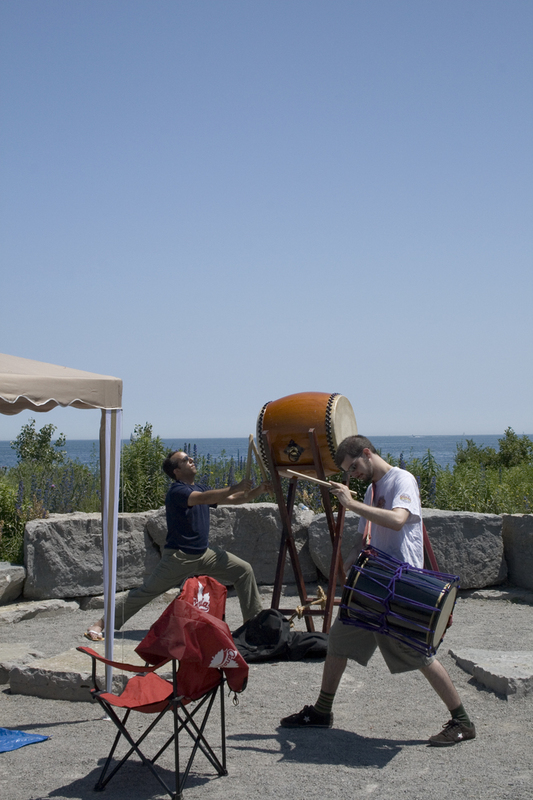 We went for a photowalk on the spit on Sunday, and kept hearing the sound of drums from somewhere. Eventually, we came across these folks practicing waaaayyyy out on the spit. 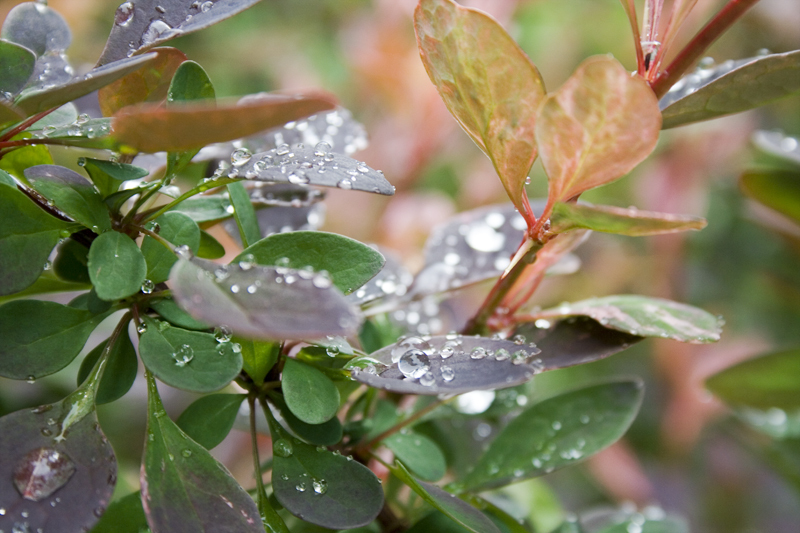 After a shower, I found these droplets on some of the garden plants. I love how they form little spheres of brightness on the leaves. Okay - so you're a horse. 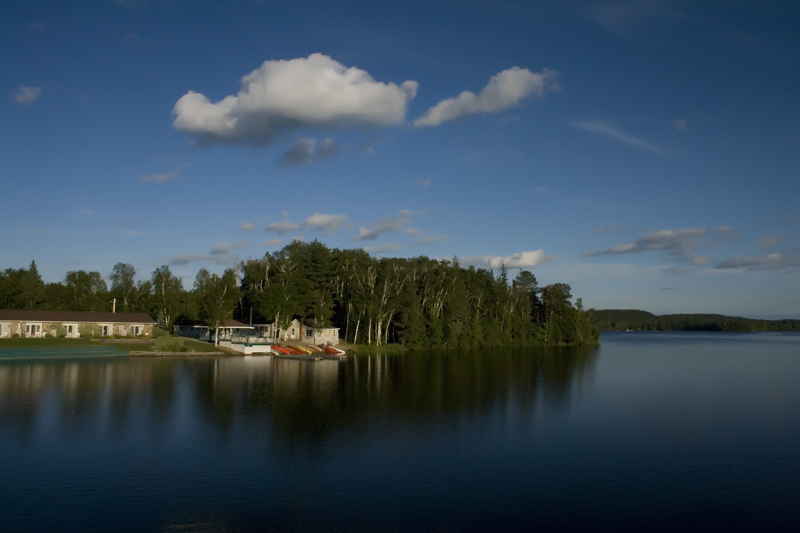 The mosquitoes and blackflies are the worst they've been in years, and you're outside in the sun. What can you do to prevent bites along your back? That's right! 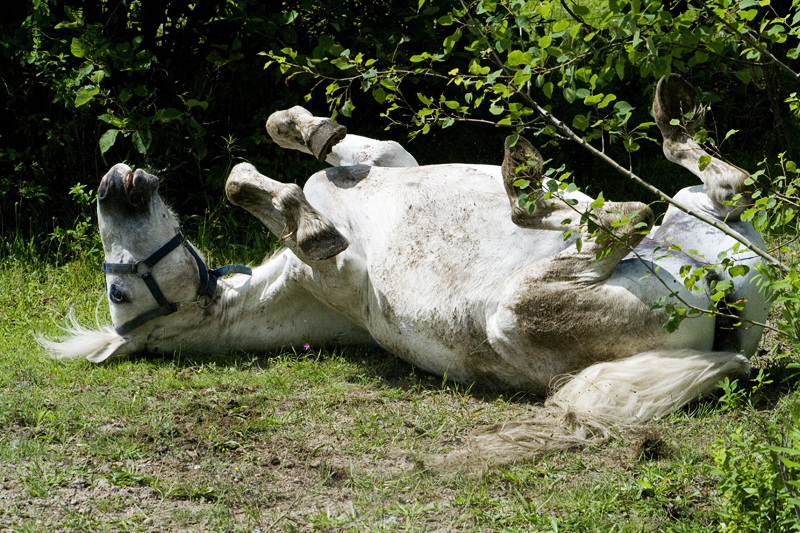 Roll in the mud, scratching those hard to reach places, and coating yourself in dirt to boot. Taken at the Bed and Breakfast we stayed at over the Canada Day long weekend. The Muskokas are beautiful all year round, and they have a special magic at sunset. One clear, still evening, we went sunset hunting. 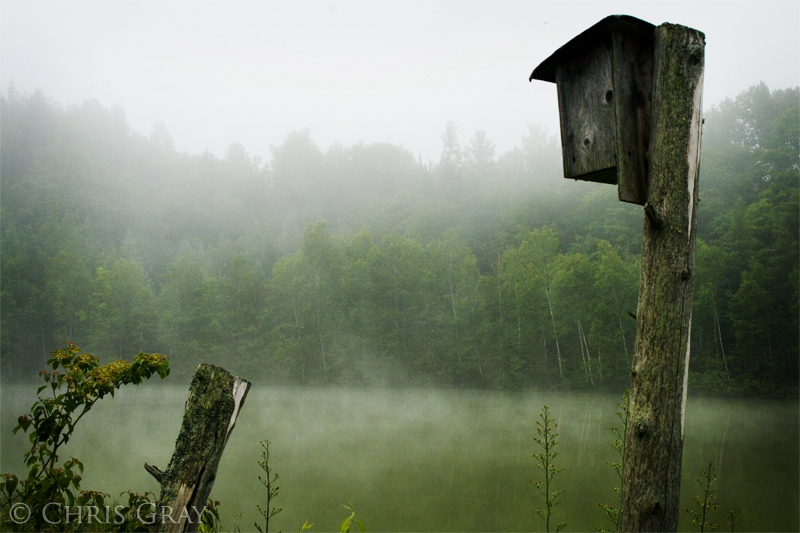 We drove from the bed and breakfast we stayed at to Algonquin Park, scouting locations. Then, as the sun set, we drove back towards Huntsville, stopping at the locations and taking shots. On the long weekend, my sweetheart and I spent some time tramping around Algonquin Park. 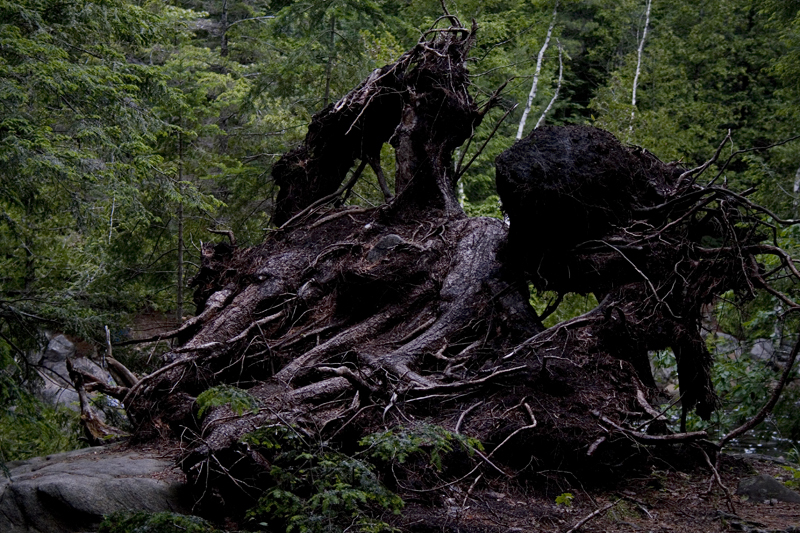 We came across this tree, which had fallen over in some storm. 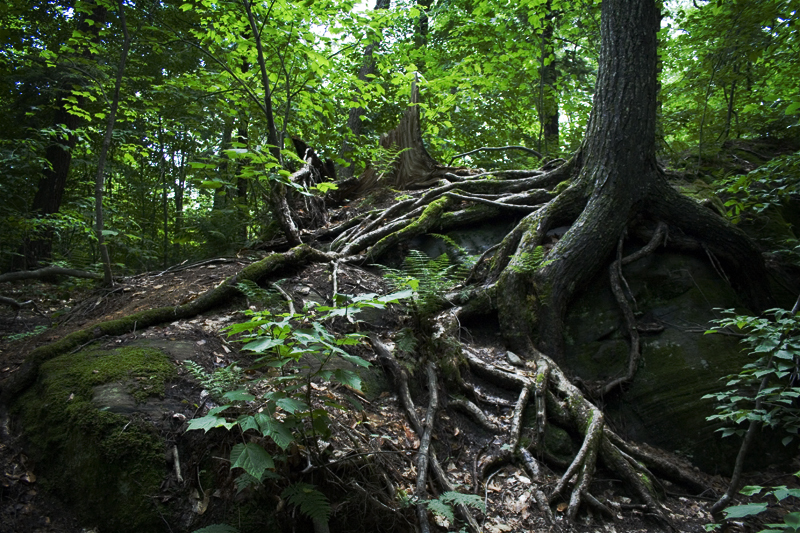 It has a very "Lord of the Rings" feel to it when your wandering through the forest - you see all kinds of things that are straight out of the books.